Eminent Domain Appraisal & Consulting | James Real Estate Services, Inc. When a government body exercises the power of eminent domain to acquire all or part of a property for public use appraisals are used to determine just compensation paid to the owner. Government bodies or agencies and property owners obtain independent appraisals. James Real Estate Services has over 20 years of experience in eminent domain appraisal and provides litigation support for a multitude of property types and client types. To speak with an eminent domain expert, please call 303-388-1100 or fill out our contact form. 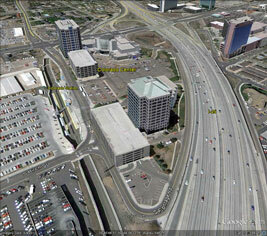 Bill is very knowledgeable about many facets of the commercial real estate market in Colorado. He delivers his work on time and his work is very complete and presented in a very profession manner.